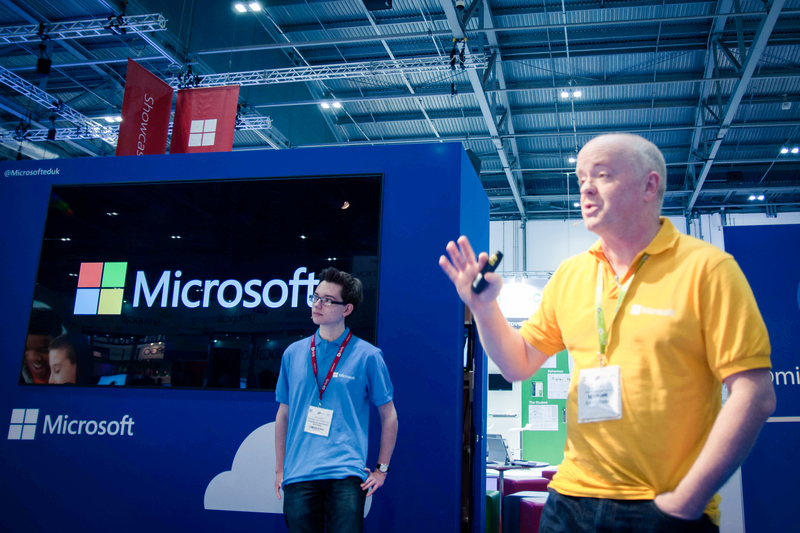 On Saturday 24th January I was fortunate enough to present with Kevin Sait at the BETT show at the ExCel Arena in London. 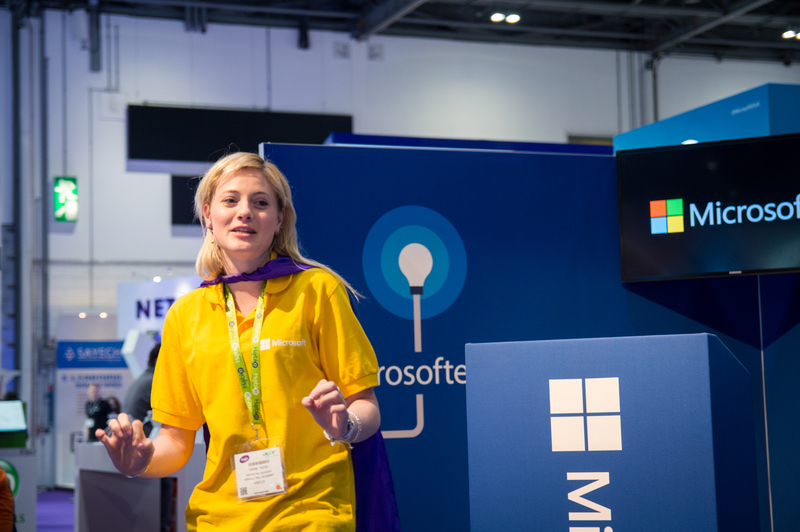 For those of you who don’t know what the BETT show, it is quite simply the largest technology show in the UK with many large corporations such as Microsoft, Google, Samsung, Dell, HP and Acer each with stands and presentations. The show is held each January and is approximately a mile from end of the exhibition hall to the other – quite an event! 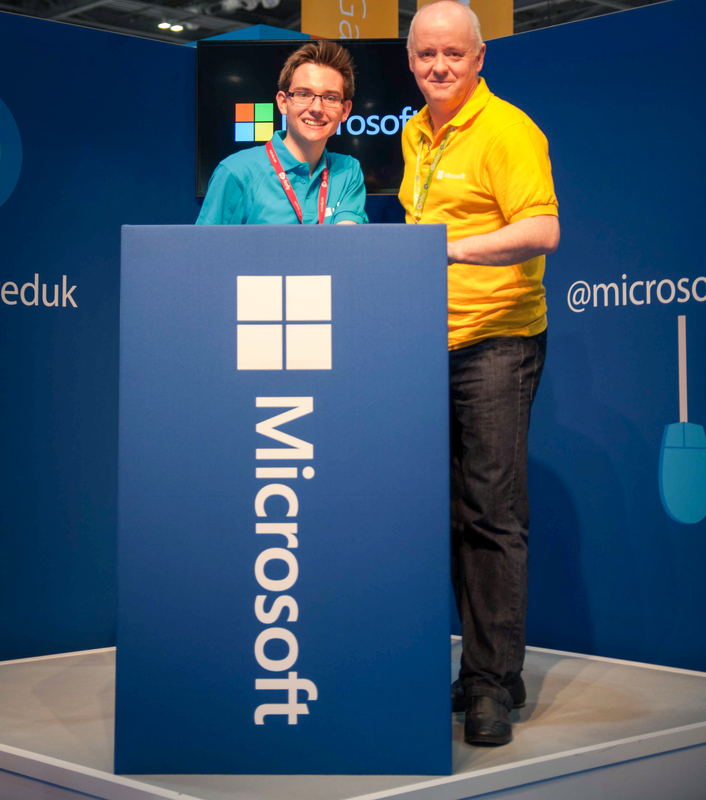 Kevin and I behind the Microsoft lecture stand at the BETT Show. A week or two before the BETT show began on January 21st Kevin and I began creating our presentation. Our presentation was focused around how we use Microsoft technology at Wymondham High to bring learning to life, most notably Yammer, OneNote, Office 365 and Sharepoint and we also talked a little bit how we have helped to deploy Office 365 at Old Buckenham High School and how we offer Microsoft qualifications to students at Wymondham High as well as Office 365 Pro Plus Benefit, of course. Is it fair that some students are disadvantaged because they cannot afford to buy the latest version of Microsoft Office every three years? Of course not! Office 365 Pro Plus Benefit ‘levels out the playing field’ and allows any student access to five copies of the latest Microsoft Office software. If you’d like to read exactly how we bring learning to life using technology at Wymondham High Academy, I recommend reading my article here. You may also be interested in reading all about our Student Digital Leaders here. Our presentation featured some videos including one about how easy OneNote Class Notebook Creator is to set up for a class and also a video asking students what they use Yammer for in school and how Yammer and Office 365 has allowed collaboration compared to the old system which did not. We hope to have this video on the O Team YouTube channel in the near future. 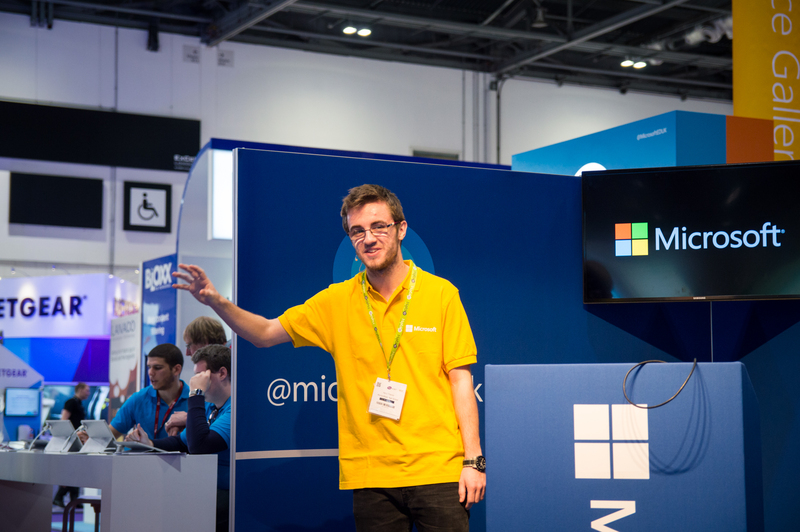 Here I am in ‘full swing’ during my presentation. Kevin had already been presenting this presentation several days prior to me present it with him on Saturday. Whilst the crowd was certainly not the largest, it was still a great experience presenting at a show as large as BETT and I felt that the presentation went very well with several members of the audience calling me an ‘inspiration’ and even getting the ‘nod of approval’ from Head of Microsoft Education UK, Steve Beswick who commented after the presentation that he liked the fact that I put my own opinion in (notably about how it’s unfair that students can be disadvantaged by using old software because they cannot always afford the latest releases). Here is Kevin in ‘full swing’ with me ‘waiting in the wings’. 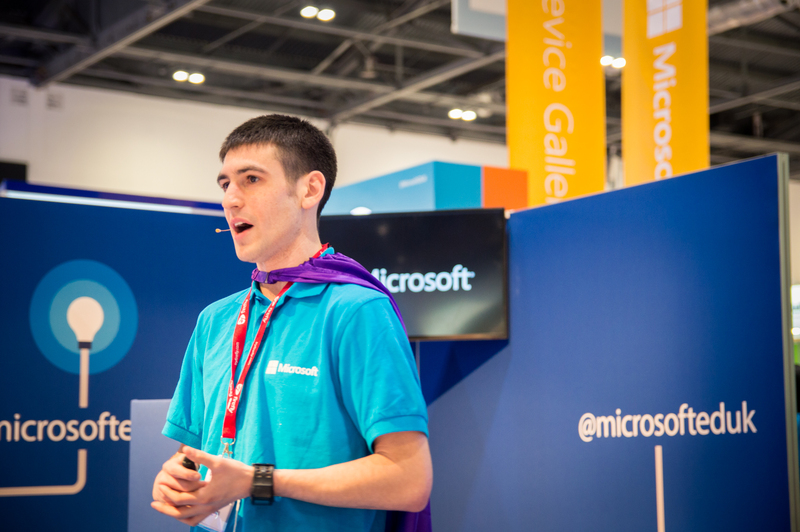 OneNote Product Manager Ari Schorr gives a great presentation on Microsoft OneNote 2013 at the BETT show. English teacher Emma Hicks gives a great presentation on Microsoft OneNote 2013 at the BETT show. 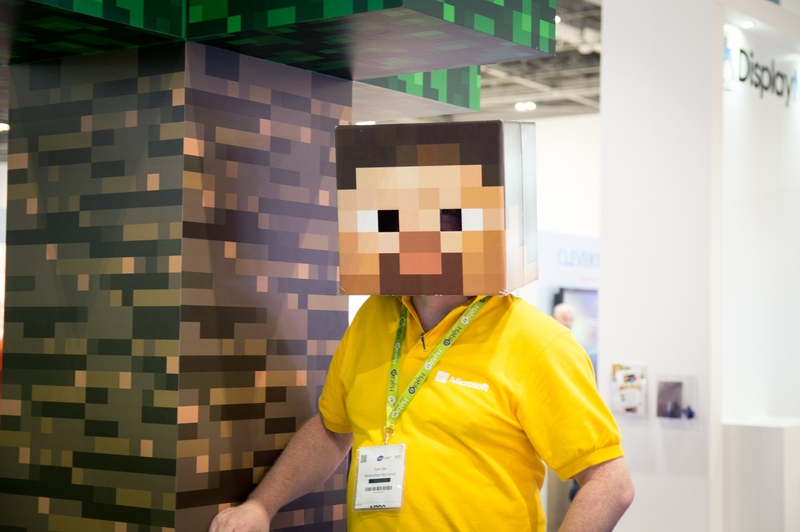 Here I am with the ‘Steve head’ at the BETT Show. 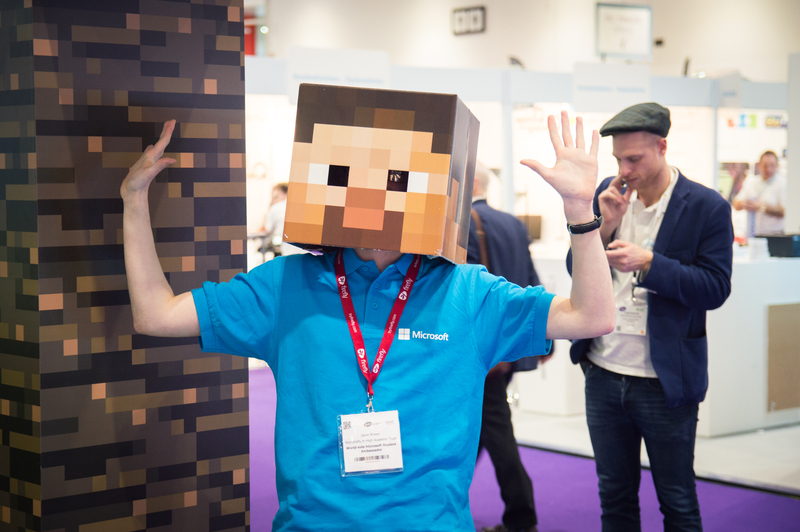 Kevin Sait with the ‘Steve head’ at the BETT Show. 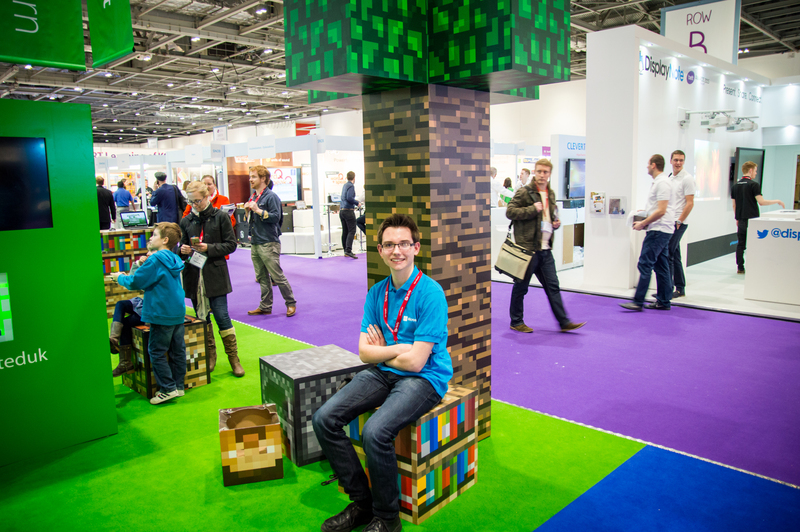 Here I am underneath the infamous ‘Minecraft Tree’ at the BETT Show. 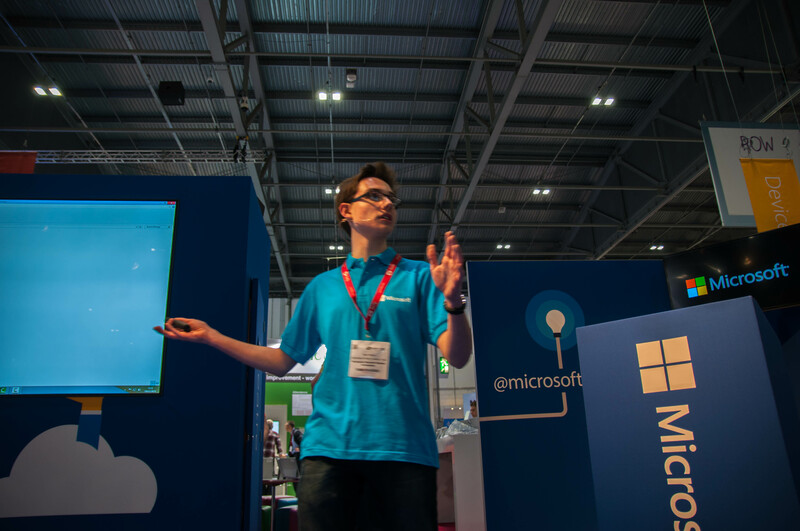 Harry Traynor delivers a presentation about the Surface Pro 3 at the BETT Show. 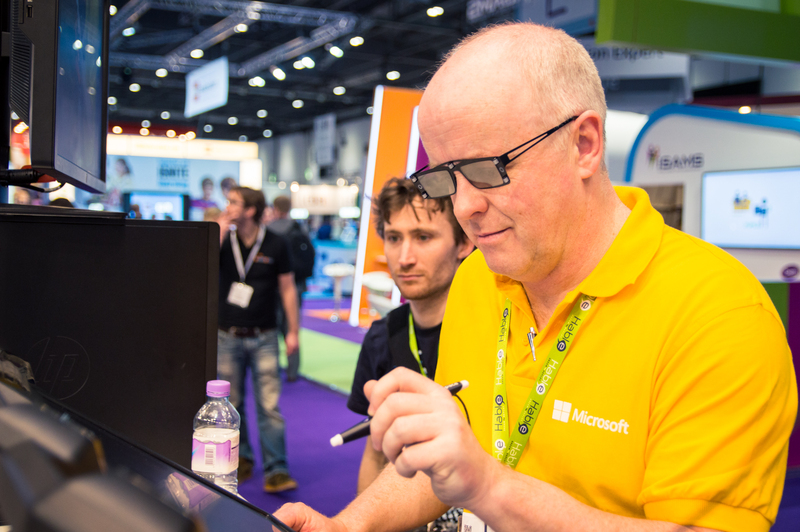 Kevin experiments with holographic technology at the BETT Show. 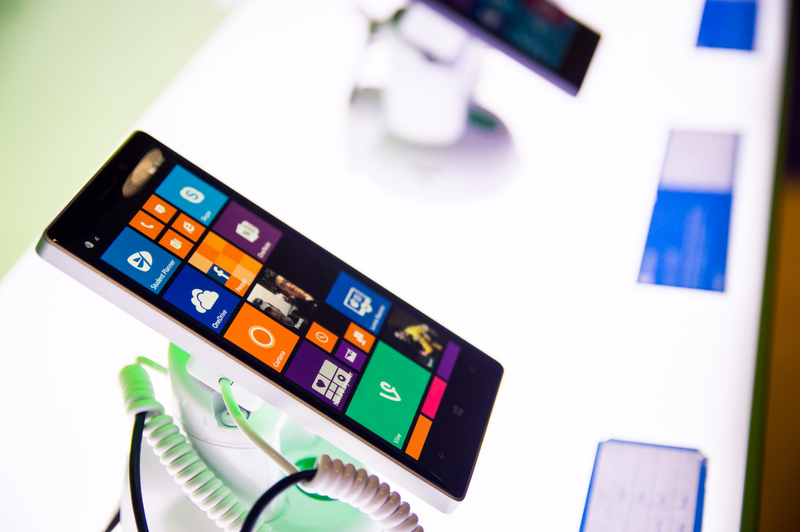 And finally, the kind of expensive handset a poor person like me can only dream of – here’s a Nokia Lumia 930 at the BETT Show.